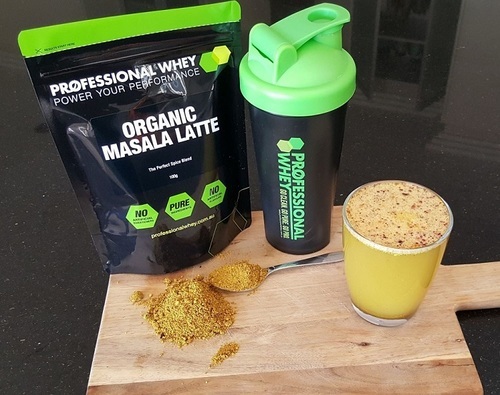 If you were wondering what all the hype is around the Chia Latte and Tumeric Lattes, get your head around the new kid on the block; Organic Masala Latte rocks. Organic Masala Latte is a beautiful blend of roasted nuts and cool ayurverdic spices ground into a fine powder, to either give your protein powder that extra tasty kick or to drink alone with hot, cold or ice cold milk. Masala Latte simply translates as ‘spiced milk’ and is an ancient Indian drink that has been enjoyed for centuries. It provides a delicious warmth feel while supporting your immune system. 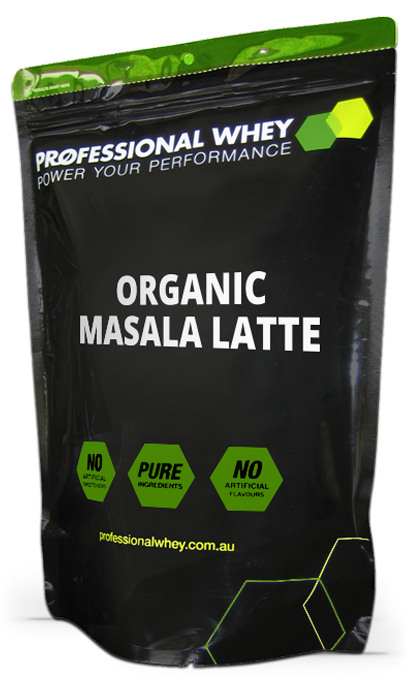 Organic Masala Latte offers a unique blend of healthy fats, vitamins and minerals to support your health. The blend also contains turmeric and cinnamon, two spices which are high in antioxidants and have commonly been used in the ancient near east for medicinal purposes. It is ideal to add to shakes, yoghurts or to make a delicious latte. Available in 100g packs and bulk discounts. And if you want it to taste sweet, don't forget to add one of our Organic Sweeteners. Add to an unflavoured protein shake with any kind of milk and sweeten (if necessary) with stevia. 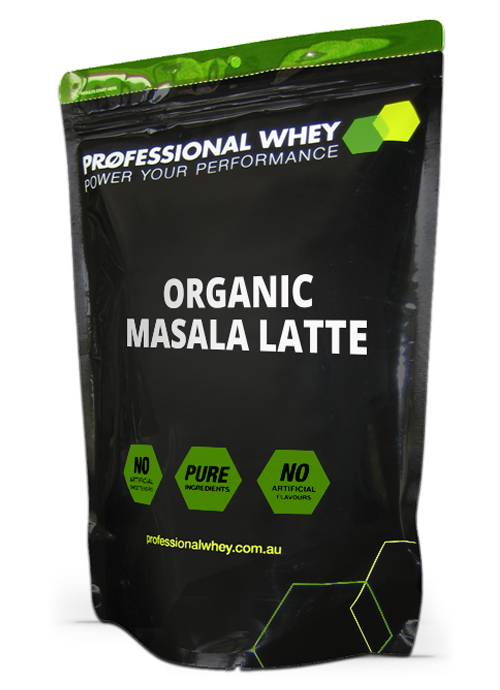 Alternatively make an organic masala latte with hot or ice cold milk. Made with 72.5% organic ingredients.